HomeResultHTET 2017 | Final Result Declared. 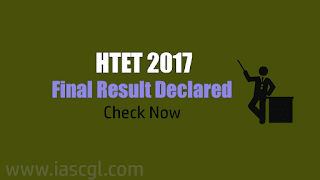 HTET 2017 | Final Result Declared. Board of School Education, Haryana (BSEH) declared final result Haryana Teacher Eligibilty Test(HTET). HTET Level 3 examination was conducted on 23 December 2017. Candidate can check result from the official website of bseh.org.in.